english/ This post is translated to: Spanish. Portuguese, Asturian, Serbian (Latin and Cyrillic), Dutch, Hindi, Chinese simplified, Brazilian Portuguese, Greek, French, Farsi (Persian) (scroll down). More translators wanted! español/ Esta entrada está traducida al español (más abajo). português/ Esta publicação encontra-se traduzia para Português (continue para baixo). asturianu/ Esti artículu ta tornáu al Asturianu (Desplázate p’abaxo). srpski(latinica)/ Ovaj post je preveden na Srpski(latinica) (skrolujte dole). cрпски(ћирилица)/ Овај пост је преведен на Српски(ћирилица) (скролујте доле). português do brasil/ Esta publicação encontra-se traduzia para Português do Brasil (continue para baixo). “We gain strength from diversity, and actively seek participation from those who enhance it”. That’s part of our code of conduct, it’s what makes Ubuntu work, it’s what makes us shine. 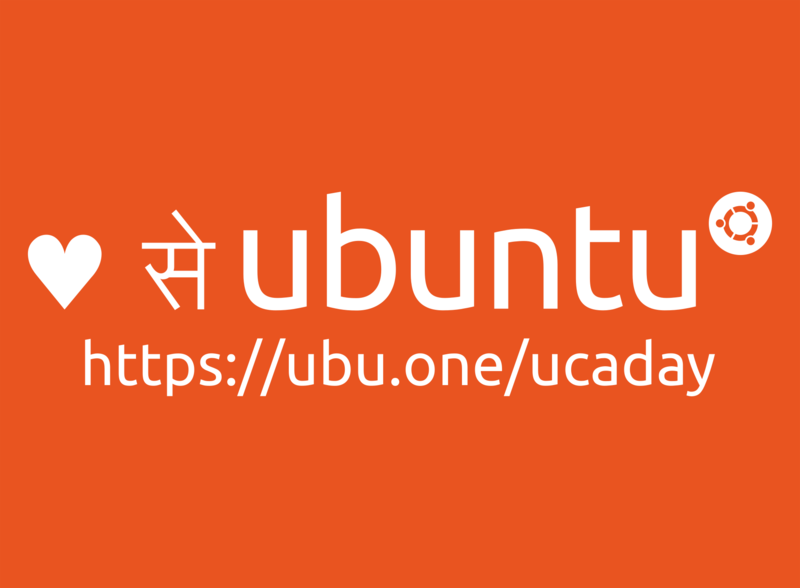 Ubuntu is an amazing mix of users and contributors from every corner of the world, each of them sharing their time and knowledge, their personality and ideas, their context and history, to build this community. I am what I am because of who we all are. On November 20th we celebrate our community, our diversity and our commitment to make the best free software! The idea is very simple, and yet very powerful: say thanks. Show your appreciation to somebody in the community and make that person have a nicer day. Leave a reply here (in any language) naming somebody who had a positive impact on your life; or do it on twitter, facebook, by mail or phone, or in any way that makes you comfortable. And let’s keep working together to make this a more welcoming space. Let’s make everybody feel safe, respected and appreciated. I am very thankful for being part of this community and I want to let everybody know that they can fit here, we will help each other to make that happen. There is still one week to go, so if you have any ideas for this celebration, please leave a reply. «Ganamos fuerza de la diversidad, y buscamos de forma activa la participación de quienes la realzan». Eso es parte de nuestro código de conducta, es lo que hace que Ubuntu funcione, es lo que nos hace brillar. 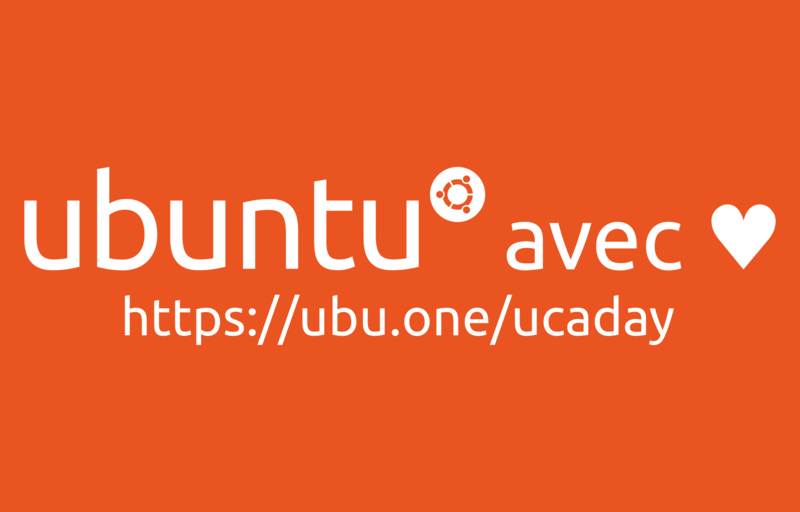 Ubuntu es una asombrosa mezcla de personas usuarias y contribuyentes de todas las esquinas del mundo, cada una de ellas compartiendo su tiempo y conocimiento, su personalidad e ideas, su contexto e historia, para construir esta comunidad. Yo soy lo que soy gracias a lo que todos y todas somos. ¡El 20 de noviembre celebramos nuestra comunidad, nuestra diversidad y nuestro compromiso de hacer el mejor software libre! La idea es muy simple, pero muy poderosa: decir gracias. Mostrar su aprecio hacia alguien de la comunidad y hacer el día de esa persona un poco más bonito. Deje una respuesta aquí (en cualquier lenguaje) nombrando a alguien que ha tenido un impacto positivo en su vida; o hágalo en twitter, facebook, por correo o teléfono, o de cualquier forma que le haga sentir cómodx. Y sigamos trabajando juntxs para hacer este espacio más acogedor. Hagamos que todas las personas se sientan seguras, respetadas y apreciadas. Yo estoy muy agradecido de ser parte de esta comunidad y quiero que todas las personas sepan que pueden caber aquí, vamos a ayudarnos para hacerlo posible. Aún queda una semana, entonces si tienen ideas para esta celebración, por favor dejen su respuesta. “Crescemos com diversidanederlandsde, procurando participações ativas de quem nos potencia ativamente”. 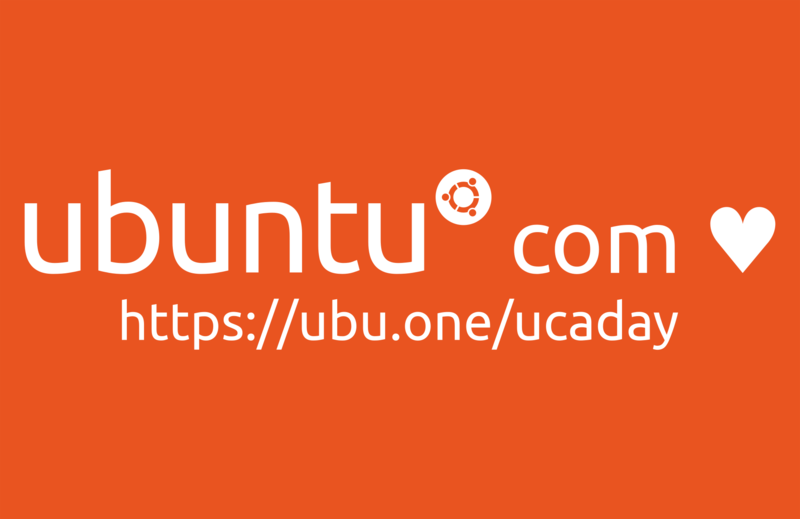 Faz parte do nosso código de conduta, é o que faz o Ubuntu funciona, é o que nos faz brilhar. 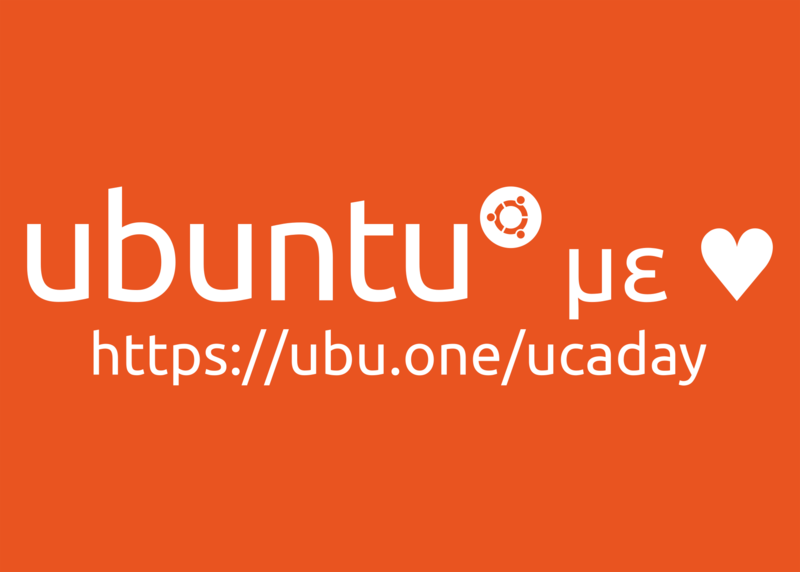 A Comunidade Ubuntu é uma mistura fantástica de utilizadores e contribuidores de todos os cantos do mundo, cada um partilhando o seu tempo e conhecimento, as suas personalidades e ideias, os seus contextos e histórias para construir esta comunidade. Sou o que sou pelo que nós somos. “Medramos cola diversidá y buscamos la participación de los que puxen dafechu por esa diversidá”. Esto ye parte del códigu de conducta de nós, ye lo que fai qu’Ubuntu furrule, ye lo que nos fai medrar. Ubuntu ye un amestáu ablucante d’usuarios y collaboradores dende toles esquines del mundu, cada ún d’ellos compartiendo’l so tiempu y conociencia, la so personalidá ya idegues, el so contestu ya hestoria, pa construyir esta comunidá. Soi lo que soi gracies a lo que toos somos. Today I feel a lot of appreciation to @nhaines, Bhavani Shankar, @kenvandine, @gsilvapt, @carla-sella, @kyrofa, Naeîl Zouedi, Lina Porras and @tribaal. 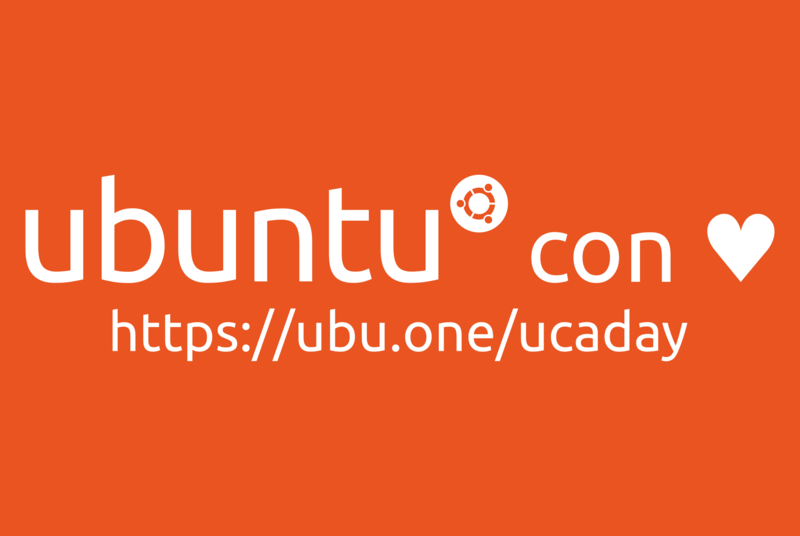 They are the candidates to form the new Ubuntu LoCo Council. There are Local Community (LoCo) teams in many many regions. They are our link between cultures and time zones, and are our constant reminder that whatever we do, we need to do it in a way that includes everybody. Well now I can’t wait too . In that case, I want to thank everyone who dedicates a bit of his/her time to help Ubuntu Communities evolve and improve: You guys are awesome! This may feel generic but there are so many heroes without capes that I don’t want to not mention this in this appreciation note. On a particular note, I have to thank @elopio as I look up to him as a sort of a mentor and, obviously, for being an amazing dude! I really appreciate the help that I have received to groom and grow from the Ubuntu Community and like to thank specially Kilos, Belkinsa, wxl, elacheche, tsimonq2, unit193, mhall119, NaeilZoueidi, Billy Quinn aka Bashing-om, Krytarik, inetpro, theblazehen, paddatrapper on @KyleRobbertze and its nice of them @z4kilive and walrider to be around now and then as a company. I’m going to send more appreciation. Thanks @gsilvapt, @costales, @ajvn, @lennybruyninckx, @meetdilip, @tantalus13a98b5f, @tryggr, @nickthom, @ldnpub and @amirmohtasebi. They quickly answered the call for translators and now we have this announcement in 13 languages! This community is amazing <3. Grand merci à Jono Bacon ! Sa vision des réalités à propos de l’art contre la science ainsi que cette assertion " prendre de la distance pour atteindre l’excellence ; planifier " m’a apporté beaucoup, m’a motivé par ses conseils avisés, judicieux, en rapport à l’humanisme ! Ce fut comme une grande aide reçue. Je ne suis qu’un simple utilisateur. Big thanks to Jono Bacon! His vision of the realities of art versus science and his assertion " to take a distance to achieve excellence; planificate" has brought me a lot, motivated me, shiny hint, that’s overlaping whith a humanism! It was like a great help received. I am a simple user. 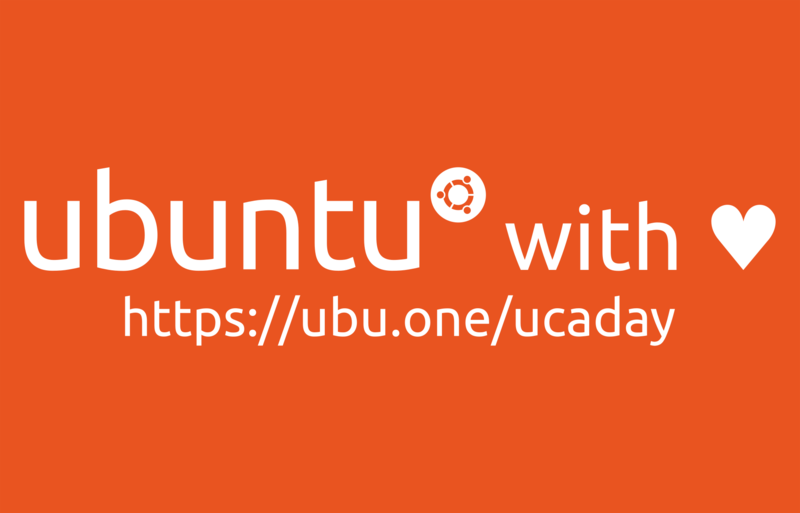 I think @popey @Wimpress and marxjohnson deserve a big shout out for the Ubuntu podcast, their enthusiasm and knowledge proved immensely helpful when I first switched to Linux over a year ago and helped keep me motivated during the tough transition from being a long term Windows user with no IT background. Now full time on Linux and involved in the OpenSource community myself, albeit in a small way, I continue to listen every week. 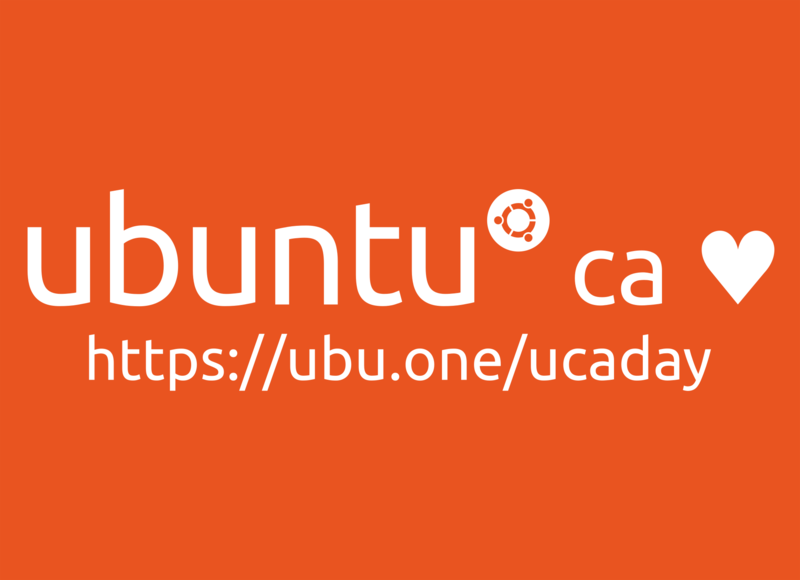 Through the recent changes with regards to Unity and Gnome they have continued to be positive and cheerful, despite what must have been difficult times for those at Canonical, and they are a credit to the Ubuntu & GNU/Linux community. First shout out: Snapcraft Team. They worked with us to provide the necessary help not just so that Solus could be supported, but so that we ourselves could work within (and be accepted by) the Snapcraft community, and share in the upstream success. In terms of community collaboration, this hits the nail on the head. Teach a man to fish, and all that. Ah Mr Wimpress… where do I begin Again, as part of extended community relationships, Martin has been a vital connection and enabler for Solus and Ubuntu relationships. Since first landing in my inbox like a nuke, Martin has helped to ensure we all work for the common good of open source. As a result of this, Solus is now an active part of the Snapcraft ecosystem, contributes to the upstream MATE project, and has collaborative Solus/Ubuntu MATE projects shared for all MATE Desktop users. Had you asked me a year or 2 ago if I ever thought I’d have my own software in the Ubuntu archives, I think I would’ve been rather puzzled. Martin always looks beyond these pseudo-borders and uses Ubuntu as a vehicle to effect positive change in the FOSS world - this is no small feat. On behalf of Solus, and users of our collaborative projects, I thank Martin. Appreciate, in particular, @wimpress for his hard work and giving time and attention even to little niggling problems with Ubuntu (MATE) and snappy. Edit: was just looking elsewhere on the forums - the value he adds to Ubuntu really is incredible. 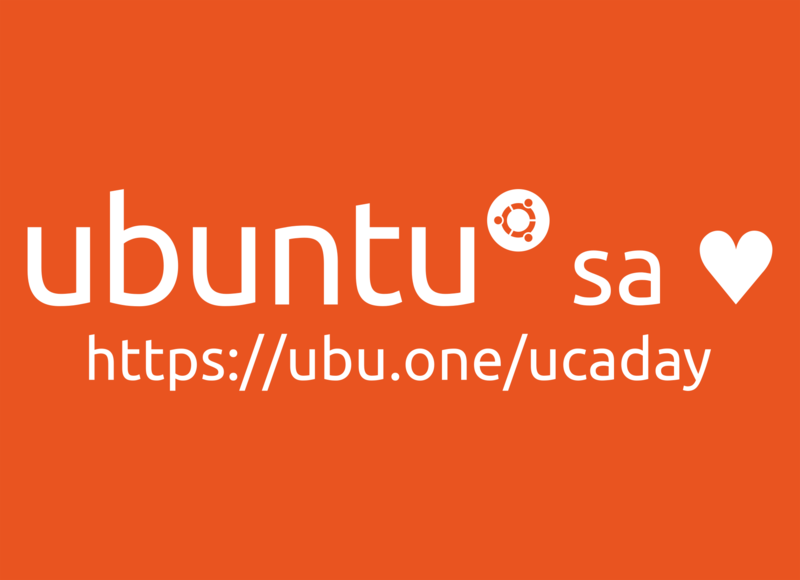 @d0od for his great articles and critical enthusiasm for Ubuntu, helping to sustain interest in Ubuntu and keeping the wider community up-to-date with what is going on. Also he’s the only community member I’ve met irl! He may not be an Ubuntu member but I certainly consider him a member of the wider community @jbicha does a lot to engage with the community and keep things moving too, and thanks to @popey for founding the forum and being a helpful and friendly face in the Ubuntu community. Tho Canonical-led, snappy is not specifically Ubuntu, but would like to commend @niemeyer for his excellent stewardship of snapd and the snapcraft forums and keeping design discussions so open on the snapcraft forums - which has helped to create a great snappy community. Oh and of course @ikey-doherty deserves commendation for his hard work which has benefited Ubuntu and every other Linux distribution. The LSI snap looks awesome. Obviously there are many others who quietly keep things moving (and maybe do that to such an extent that I don’t easily see their work) but the above are those who have stood out to me most so far! The first thanking I’ll do starts with Mark, then Thorsten Stettin (packaging), Joey Sneddon, Nathan Haines (information and discussion), then Community Team members new and old for all their wonderful content on youtube and ask.ubuntu, I’d be nowhere without you all: Daniel, Alan, Michael, Leo, Nick, Didier, David P, David C, Pat, Julia, Sergio, Kyle, Ken, and other people I can’t think of off the top of my head. Ikey and Martin also thank you, for your contributions to the wider community which directly benefit me indirectly. It’s inspiring to see someone in the Ubuntu community who is so enthusiastic, so supportive and so encouraging to new users, app devs, and other community members. From blog comments to twitter replies to the issues you open on Github: you’re always constructive, patient, measured and positive when engaging with others. The community dearly needs more folks with your can-do attitude and outlook! Also, on a more personal level, I’m impressed that you manage to find as much time to do what you do despite your uni work load and your internet access issues. I’d also like to give a shout out to @jbicha, another community face who is nothing but positive, supportive and encouraging. Those who aren’t on here who also deserve lots of lubbing: Alex aka WOGUE (for keeping us all on our toes), and Chris Coulson (for keeping us all up-to-date with Firefox). Hoy quiero demostrar mi aprecio a @franciscomol, quien lleva 10 años liderando el equipo de traducción de ubuntu al español. Su trabajo ha sido fundamental para toda la comunidad latinoamericana. ¡Gracias! He’s not on this forum, but I’d first like to thank Kamal in the kernel team for starting me on this crazy journey in the first place. I’d also like to thank @elopio and @sergiusens for welcoming me onto their team and showing me the ropes. @didrocks deserves his own line for all his attention to detail on the desktop and willingness to help with pretty much anything. Finally a big shout out to @popey and @wimpress for all the time they give to the community at large. 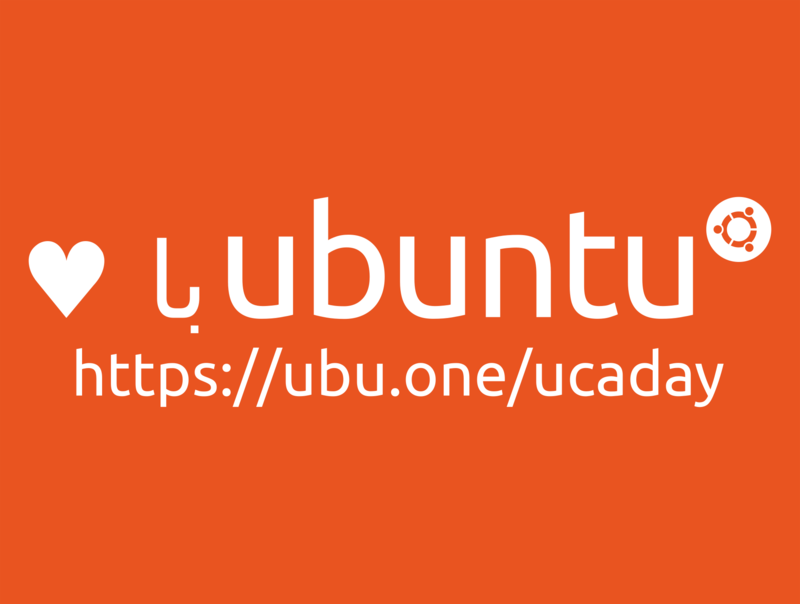 It would not be Ubuntu without you! Oh my gosh, waaaaay too many people to thank. I’ll pick some off the top of my head. Adam Conrad/infinity for all his hard work with release stuff. He’s always there to help and always with a level head, regardless of how annoying the situation. @valorie-zimmerman is the coolest Linux grandma in the world. She’s also got such a great attitude and has an uncanny knack with leadership. Seriously wonderful person, too. @tsimonq2 for his enthusiasm and his willingness to learn and grow. Unit193 for really being instrumental in hooking me into the community. I don’t think I could say what he did and I don’t think he knows what he did, but whatever he did convinced me the community was great. Julien Lavergne/gilir for pretty much singlehandledly maintaining Lubuntu. Rafael Laguna/redwolf for being a great designer and an even greater friend. Clive Johnson/clivejo and @acheron for always being there to help with packaging. I’ll also throw down to @elopio for his enthusiasm. I’m excited to be a part of the Community Council, but especially sharing that role with him. @Wimpress for leadership, ideas and drive. This guy has so much to contribute in so many places! @popey for always serving the community. For a looooooooong time, too. generally, to all the flavour contributors. Being a part of two flavours, I know it’s often a real labour of love, and I for one, really appreciate your effort. more generally, to every single contributor of Ubuntu. 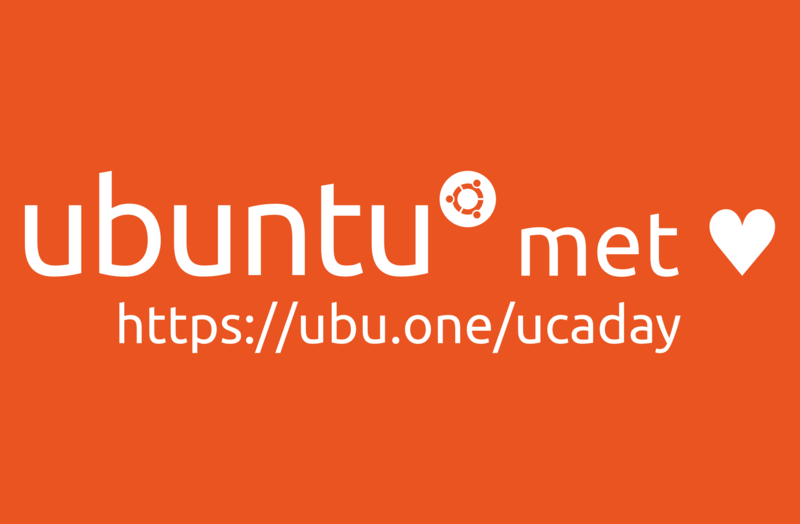 Whether you are a team lead, developer, tester, designer, documenter, supporter, evangelist, leader, advocate, or simply a user filing bugs and working with the team to make things better, you are making Ubuntu better. And that is truly awesome. I tried to be a bit more traditional although a bit late. Today was busy. I wrote a blog post which should show up on Planet Ubuntu eventually. YOU make our OS and our community great. FYI lots of stuff on Twitter, too, so make sure to check that out.